Following in the tyre tracks of the Polo GT Sedan announced by Volkswagen Russia this week, Volkswagen India has unveiled new special editions of its Polo hatchback and Vento saloon models. 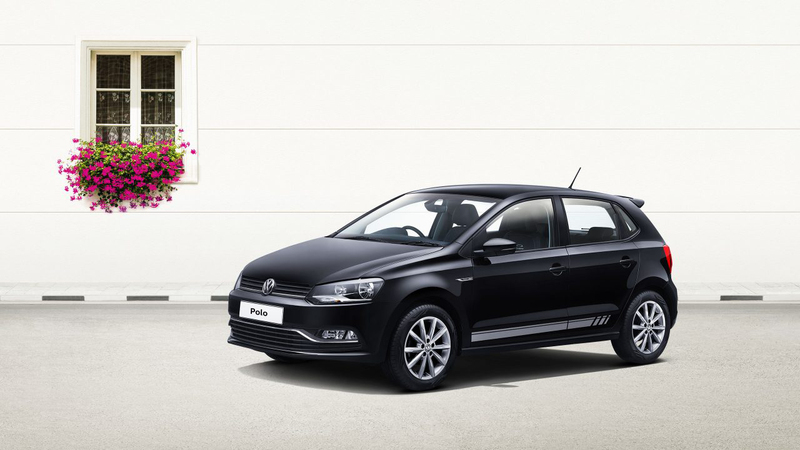 The Polo Select and Vento Celeste special editions offer an enhanced appearance and upgraded equipment count when compared to the Highline models on which they are based. Similar to last year’s Polo Exquisite and Vento Highline Plus limited edition cars, the Polo Select and Vento Celeste can be specified with a distinctive black roof wrap, black side mouldings, and fake carbonfibre mirror caps. The Polo Select also offers a roof spoiler and sill plates for all four of its doors, while the Vento Celeste can count a rear boot spoiler and a Blaupunkt audio/navigation system among its extra kit. Inside, both cars receive a carbonfibre-look centre console, branded seat covers, detachable sun blinds, as well as floor mats. The latest Indian special editions are fitted with the same engine and transmission choices as the regular Polo and Vento. The Polo Select comes with 74bhp 1.2-litre petrol or an 89bhp 1.5-litre TDI engines, while the Vento Celeste is only fitted with the 1.5-litre TDI mated to a seven-speed DSG gearbox. 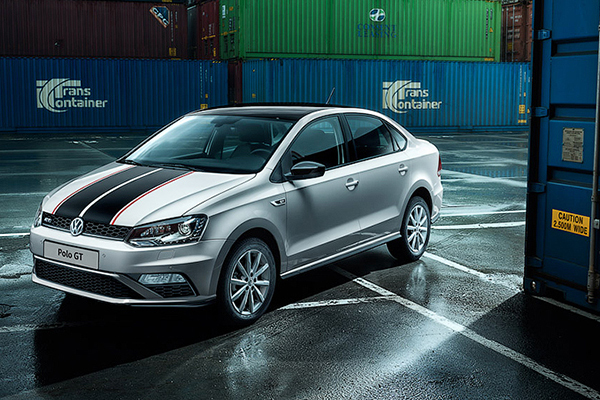 Volkswagen Russia has introduced a sports-orientated variant of its Polo Sedan. 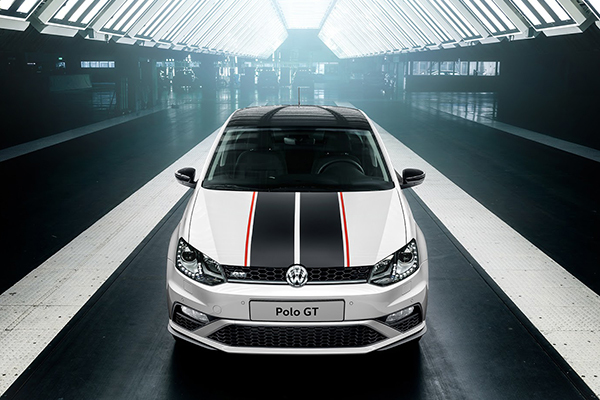 Based on the face-lifted model introduced in 2015, the Polo GT Sedan takes styling cues from both the current Polo GTI as well as the UK-market Scirocco GTS. The striking four-door is powered by a 123bhp version of Volkswagen’s 1.4-litre TSI petrol engine, mated to either a six-speed manual or seven-speed DSG transmission. 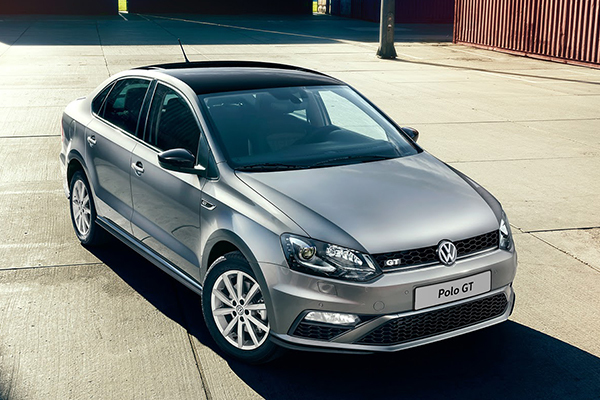 Externally, the Polo GT Sedan borrows the Polo GTI’s front bumper, fog lights, and honeycomb grille, as well as the UK Polo SE Design’s 16-inch alloy wheels. Other exterior differences over the standard car include a gloss black-painted roof and mirrors, a rear boot spoiler, and a pair of chrome-tipped exhaust pipes. The black and red stripes seen in the released press images are limited to the first 300 cars which are finished in white or silver. 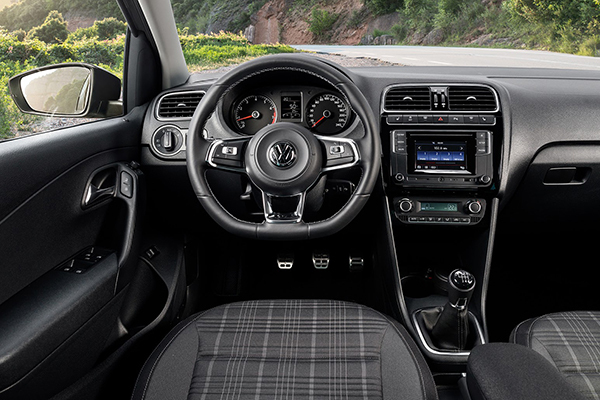 Inside, more sporty touches lift the standard Polo Sedan’s interior. 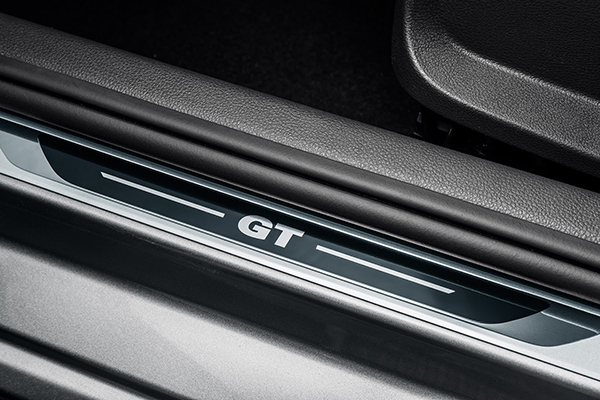 ‘GT’ badges feature on the sill strips, a three-spoke leather steering wheel also wears logo denoting the car’s stature in the Polo Sedan range, while tartan seat upholstery and aluminium sports pedals also bring correlation to the Polo GTI hatchback. Climate control, electric windows all round, and headed front seats are all standard equipment. 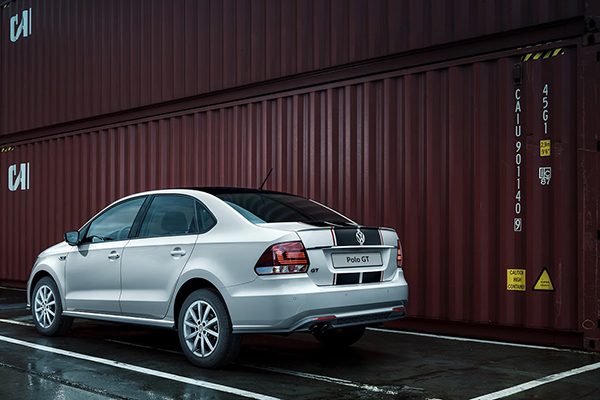 The Polo GT Sedan appear to be a Russian-market only model, and, as far as we understand, there are no plans to introduce similarly-badged models in South Africa or India, where the car wears the Vento name. The GT adds to the already five-strong Polo Sedan range in Russia, which includes Allstar, Conceptline, Trendline, Comfortline, and Highline versions. At the time of writiing, there’s no word on pricing and availability. Volkswagen India has today recalled 3,877 Vento TDI models due to ‘inconsistent emission issues’. All models affected feature manual gearboxes and the company’s recently-developed 103bhp four-cylinder 1.5-litre TDI engine. Variable carbon monoxide emissions are reported to have exceeded limits during conformity of production tests conducted by the Automotive Research Association of India (ARAI). There are no suspected links to the ongoing EA189-engine ‘dieselgate’ issue. 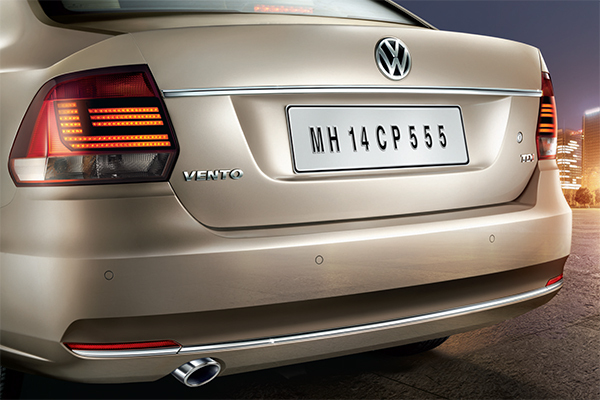 Volkswagen India has also temporarily suspended sales of the 1.5 TDI manual Vento while the issue is investigated. The company will propose technical measures to ARAI as soon as it can. Once these measures have been approved by the relevant authorities, production and sales of the affected models will continue. Customer cars which have already been sold will be recalled and also have the remedial measures fitted. Volkswagen India is keen to stress that only 1.5-litre TDI cars with a manual gearbox are affected, and that production and sales of all other Vento (including 1.5 TDI DSG variants) and Polo models will remain on sale and continue in production. In echoes of the ‘dieselgate’ issue, the manufacturer has also reassured drivers of the affected cars that their vehicles remain safe and roadworthy. 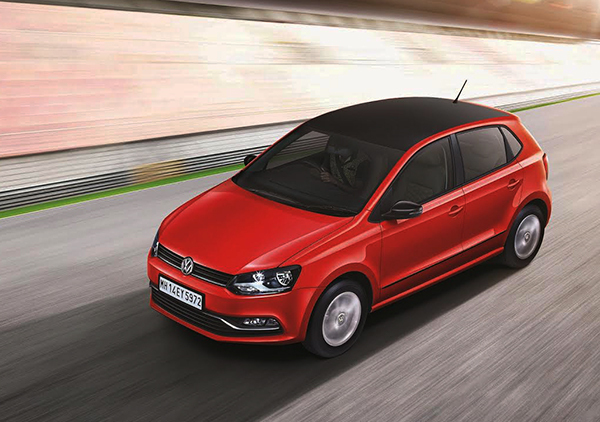 The revised Volkswagen Vento was launched in the summer of 2015, and is a booted version of the fifth-generation Polo.